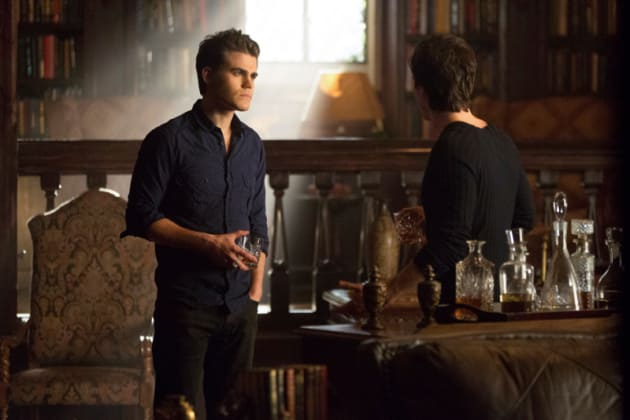 Stefan and Damon confer in this Vampire Diaries scene. 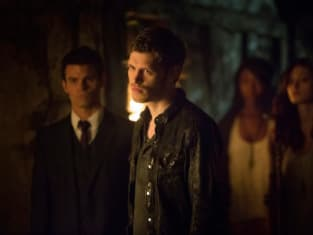 It is from the special episode "The Originals." The Vampire Diaries Season Finale Synopsis: Caps, Gowns and Ghosts!